Recent research shows that productivity in the UK continues to be a big problem. UK employees lost on average 23.0 days of productive time in 2014, compared to a whopping 35.6 days in 2018. Further, employees lost 13.6% of their working hours due to absence and presenteeism last year. This figure translates into an average loss of 35.6 days of productive time per employee per year. Combined with this we are seeing the topic of mental health at work increasingly making the news. Young employees are particularly at risk for mental health issues, with 12.5% of those in the 21-25 year age category indicating they suffer from depression. This figure increases to 17.2% for the 18-20 year age category. 34% of employees indicate they have felt unwell because of work-related stress. 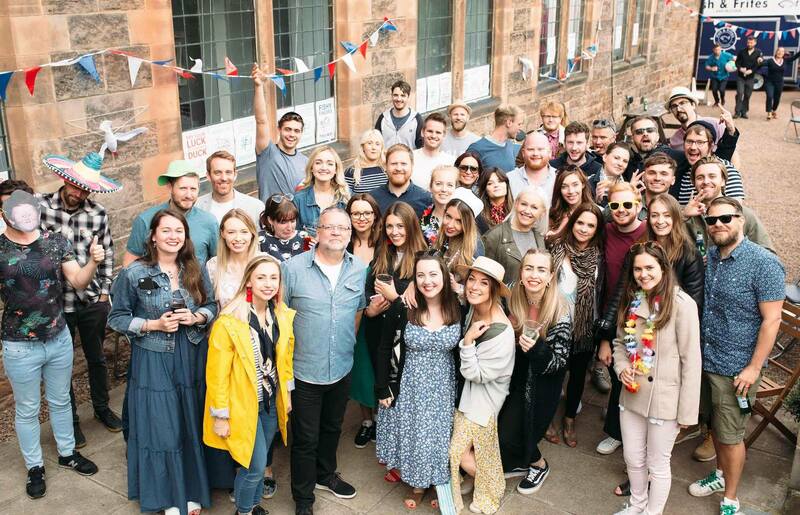 The Union is an advertising, design and digital marketing agency based in Edinburgh and Leeds. We employ over 85 staff, and the majority are under 35 years old. Typically, our industry is fast-paced, highly demanding and unpredictable. Historically, long hours and late nights have been part and parcel of agency life. Whilst technology has to some extent made life easier, it has also increased pressure, as our clients now expect work to be delivered a lot quicker. 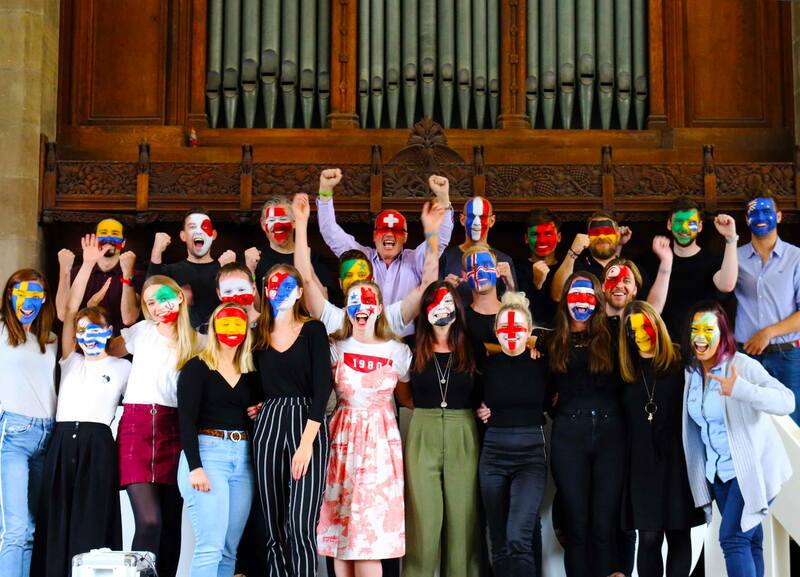 In the past, management has justified the hard work and pressure with the excuse that the industry is exciting, creative and varied – however this is now no longer sustainable. Given this background, our Leadership Team decided to make wellbeing in the workplace a core strategic issue for the agency in 2018. A happy agency is a more effective agency – so this might seem like an obvious decision for management. However, the question remains – exactly how do you put wellbeing at the heart of your organisation? First of all we gave selected people in the business clear responsibility for wellbeing. 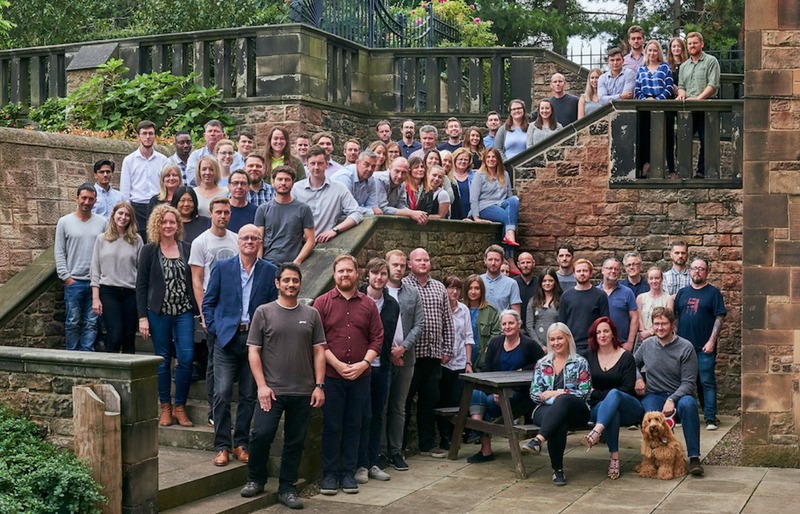 We hired a full-time Talent Manager and set up an internal team with the specific remit to suggest ideas to the agency leadership as to how we could improve. 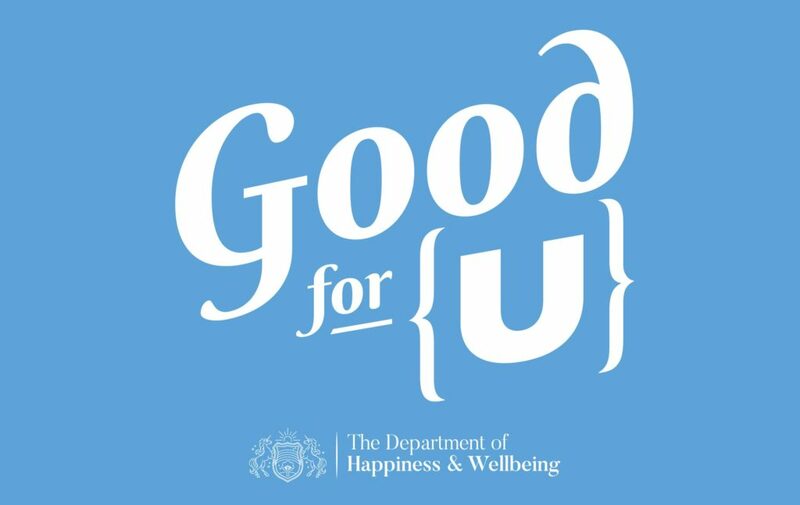 We created a monthly wellbeing initiative called ‘Good for U’ with the goal of providing a clear focus on the wellbeing of all in the agency. A new ‘department’ was created, the ’Department of Happiness & Wellbeing’ which was charged with creating a monthly wellbeing initiative for all in the agency. The monthly initiatives included a ‘hydration month’, where all staff were given a branded water bottle and asked to focus on the health benefits of being hydrated, and a ‘mindful month’ where we held lunchtime seminars on mindfulness. One month was based on ‘get to know you’ where everyone was paired with a ‘buddy’. In the summer we ran a fitness bootcamp with a personal trainer hired to lead sessions in nearby Inverleith Park. Our Social Committee was also given an increased remit. They created a range of extra initiatives. This included sending a secret Valentine’s message to a colleague we most valued, a regular lunchtime quiz, ‘Fizzy Fridays’ (Prosecco and Pringles) on the last Friday each month, and ‘Thirsty Thursdays’ – a pub night each month. More recently we held major event where 80 staff and visitors were invited to the agency for a ‘Working: On Balance’ seminar. 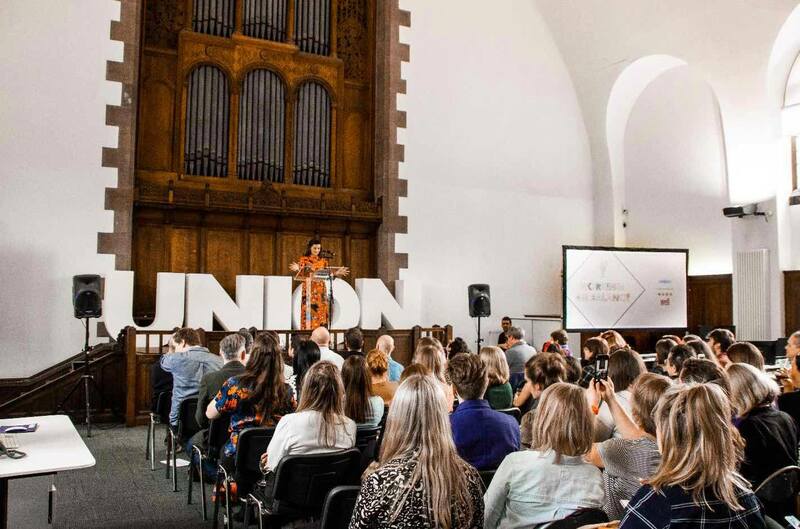 Invited speakers and a panel discussed wellbeing in the workplace in the creative industries. Speakers and panelists included Paul Reddish from ProjectScotland, Sam Deere, Founder of Welbot, Gavin Cullen, Lecturer in Mental Health at Napier University, Kate Harris from NABS and Margery McBain from Gravitate HR. The event was a landmark occasion, where for the first time the topic of wellbeing in our industry in Scotland was discussed openly. It’s early days, but the evidence is that the changes are starting to make an impact. Staff turnover is down considerably (our run rate is now at 10% p.a. compared to an industry average of 30%) and in our recent staff survey we saw scores for ‘good place to work’ up by +14% on the previous year. In summary, tackling the issue of wellbeing in the workplace head on, and developing a range of strategies to both listen to staff and focus on developing a positive environment, has huge benefits. And not just for all employees, but for the business as a whole through improved productivity.